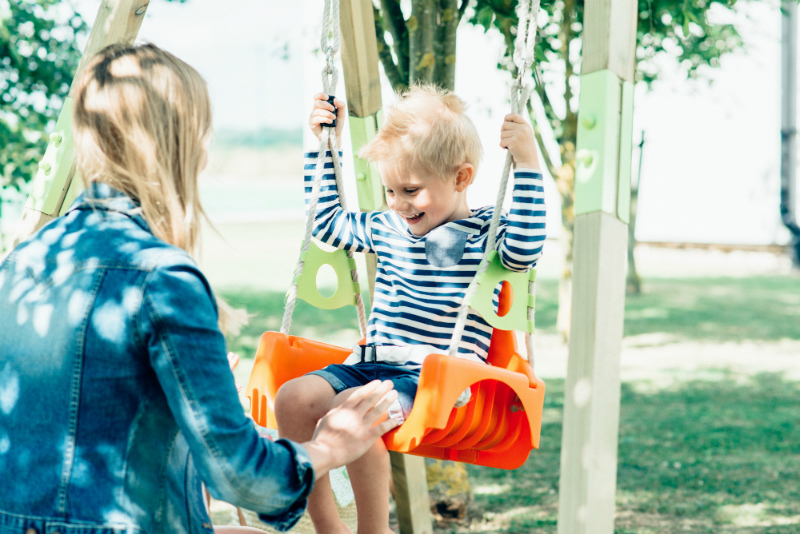 A set of backyard swings is the perfect addition to your garden – giving you plenty of hours of outdoor fun without having to load everyone up and trudge to the park. It’s no secret that kids love swings, and parents love the hours of entertainment they provide. But if you don’t have a huge backyard, you may be hesitant to dedicate precious space to a swing set, no matter how much fun they offer. But we think we’ve found the answer, and it even grows with your child. The Plum Growing Swing, made from premium FSC certified pine, is a backyard swing you’ll be happy to take home. It’s sturdy and strong, it looks great, and with its compact footprint, it won’t take up precious real estate in a busy backyard. Best of all, it grows as your child does, with adjustable sizing for babies, toddlers and young children.The Plum Growing Swing comes with a three-in-one animal-themed seat, which is easily adjustable to comfortably seat either a baby, toddler or child. As your child grows, the swing set grows with them with the simple addition of the included wooden leg extensions. It’s easy to take it back to baby height too – all you need to do is remove the extensions and you’re all set for the next child. 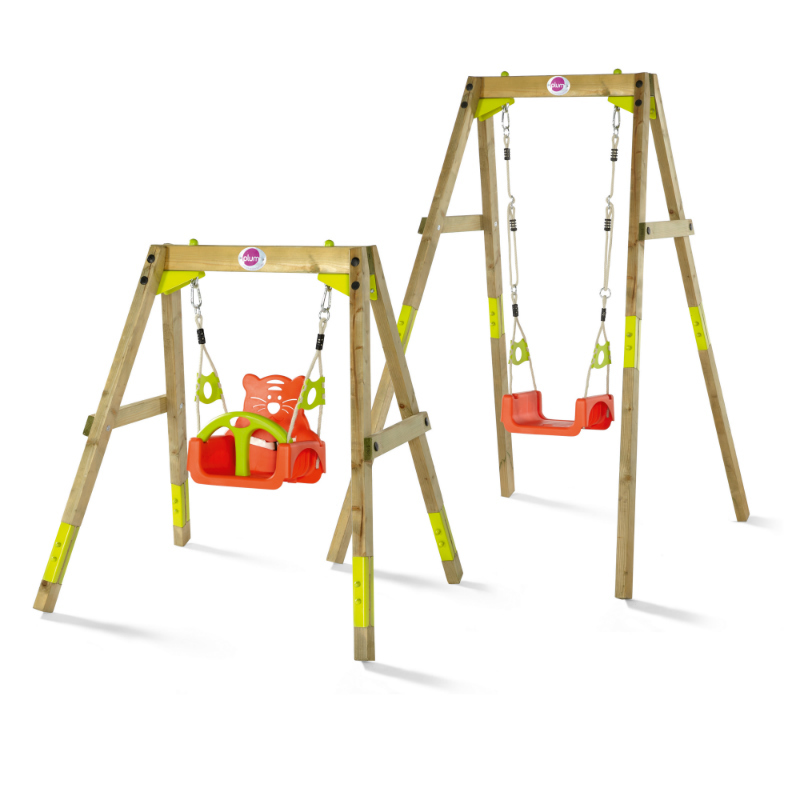 Suitable for children from 12 months of age, you can find the Wooden Growing Swing Set online at Plum Play for $299.95.